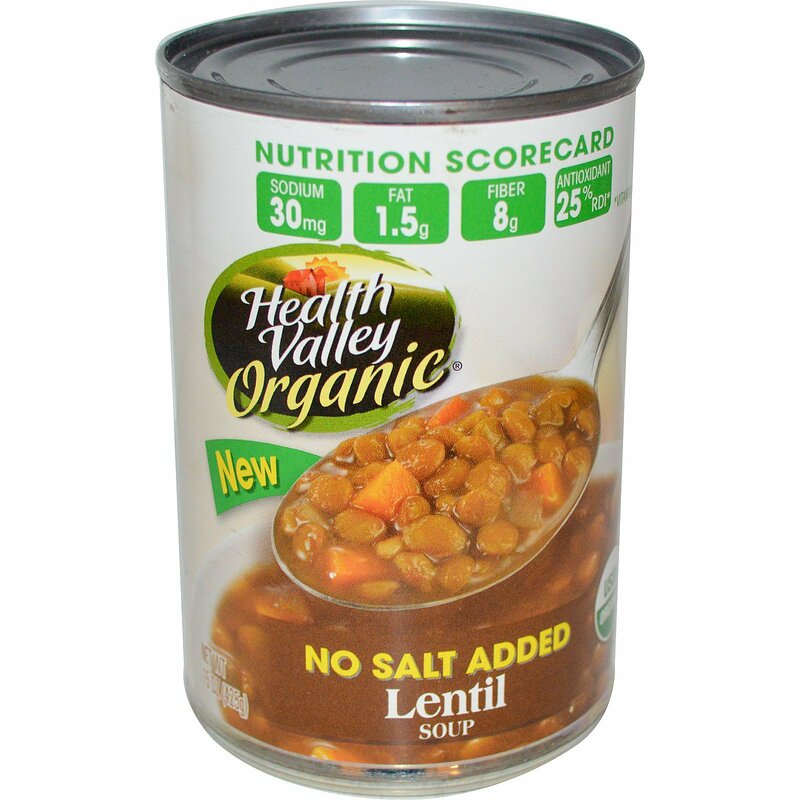 Our Organic Lentil Soup is made with the finest ingredients and has no salt added. It is also an excellent source of fiber (8 g), antioxidant vitamin A (25%) and iron (20%) and a good source of protein (9 g). This Health Valley Organic soup contains 30 milligrams sodium per serving. 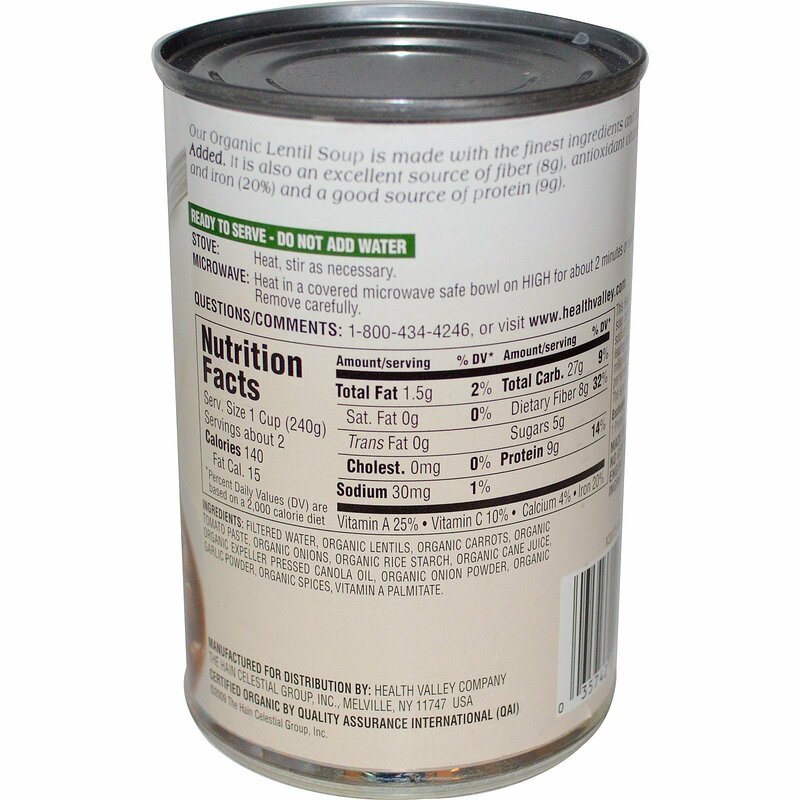 Other leading brands contain 750 milligrams sodium or more per serving. Filtered water, organic lentils, organic carrots, organic tomato paste, organic onions, organic rice starch, organic cane juice, organic expeller pressed canola oil, organic onion powder, organic garlic powder, organic spices, vitamin A palmitate.